In the Iliad Homer sang of death and glory, of a few days in the struggle between the Greeks and the Trojans. Mortal men played out their fate under the gaze of the gods. 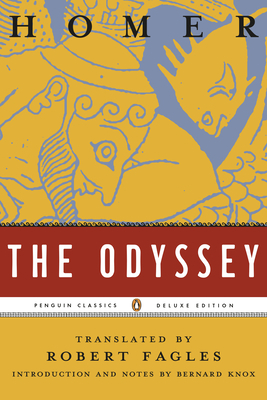 The Odyssey is the original collection of tall traveller’s tales. Odysseus, on his way home from the Trojan War, encounters all kinds of marvels from one-eyed giants to witches and beautiful temptresses. His adventures are many and memorable before he gets back to Ithaca and his faithful wife Penelope. We can never be certain that both these stories belonged to Homer. In fact ‘Homer’ may not be a real name but a kind of nickname meaning perhaps ‘the hostage’ or ‘the blind one’. Whatever the truth of their origin, the two stories, developed around three thousand years ago, may well still be read in three thousand years’ time.